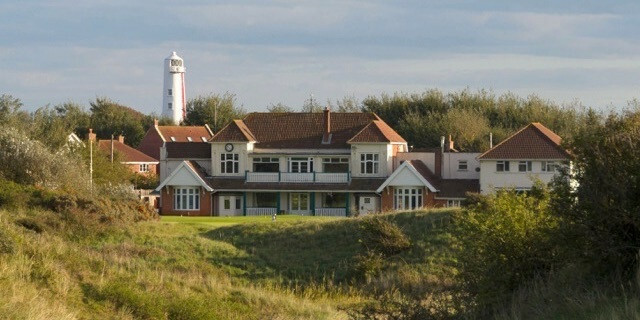 For more than 100 years, Burnham and Berrow has been hosting top golf tournaments including the British Ladies Amateur Championships, the Brabazon, the Tillman Trophy, the British Boys and English Championships. As part of my trip to play the courses along the Atlantic Links I couldn't pass up on the opportunity to play Burnhan and Berrow consistenly highly ranked in the national golf titles. There are times in my professional life when I feel privileged to be doing what I am doing. 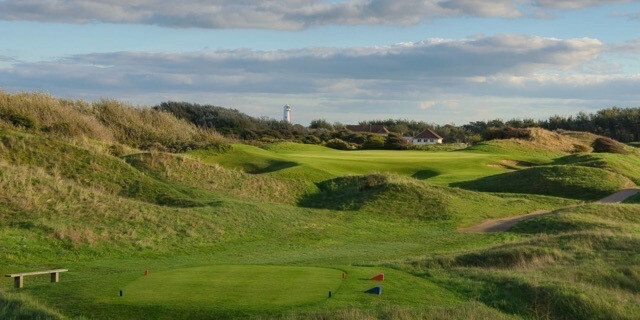 My visit to Burnham and Berrow golf club is very near the top of that list. It has been on my bucket list for some time since rave reviews from a close friend a few years ago. I was invited to a media day to celebrate a recent series of innovations and course developments. We were treated to an excellent breakfast and presentation by the head greenkeeper on the nature and extent of the work and then allocated a member of the club's hierarchy to accompany us for the competition that followed. My captain was Mike Armstrong, chairman of the club, who was a wonderful guide to a facility for which he clearly has a tremendous passion. I commented on how friendly the club and its staff were to visitors and he told me that it was an important ethos of the club that members supported each other and took pride in assisting “members for the day”. We spoke about the club and its history and he used the great phrase “Tradition starts Today”. If only more clubs of this standing had the same attitude. We arrived earlier than necessary because I was so excited at the prospect of getting access to this venue. The clubhouse has a wonderful “home from home” feel and I immediately felt comfortable. It exuded a quiet, reserved opulence. Leather chairs and sofas sit adjacent to a magnificent trophy cabinet, and there is a magnificent drop-dial clock above the door that ticks quietly away. There is a welcoming feel to the clubhouse that is sometimes not present when visiting a club of this stature. I read a great book by Dr Philip Richards called Between the Church and the Lighthouse, which details the history of this club since its inception in 1890. It provided a wonderful insight given the number of the golfing greats who have played or been connected to it over the years. Many years ago golfers were not allowed to play on the 10th hole on a Sunday or when there was a wedding or funeral due to the proximity of the church and the potential danger from errant golf balls to the congregations attending. Today’s layout is largely the work of Harry Colt. Fowler and the incomparable Dr Alister MacKenzie also had input. Hugh Alison was employed in the 1930s and 40s and also gave advice and recommendations. This isn’t design by committee, more the leaders of the field being consulted when at the top of their game. The club’s first professional was the legendary JH Taylor, five times an Open champion, who described it as “one of the most sporting courses conceivable”. I did not have time to play the Channel Course but it gives me a good reason to return. The Channel Course is a nine holer that weaves around its older sibling and features some lovely tight links holes, which at £20 adult all-day rate is great value. This is a serious links and a true test. Steep sand dunes, great contouring, punishing bunkers and fast, undulating greens create a challenge in all conditions, and if the wind blows you had better bring your best game. It has distinct sand hills that form stubborn, natural obstacles, along with the buckthorn and even a marsh for golfers to avoid midway through the round. I discovered during this trip that when swales and hollows are given names they need to be avoided. Definitely avoid “The Kitchen” on the 15th. The par three 17th is played from an elevated tee called Majuba. This was named after a battle in the Boer War, and it is an incredible golf hole and green complex. 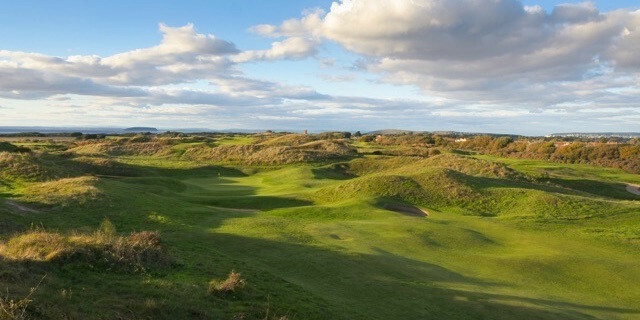 If you have any appreciation for links golf you have to play this course. It is wonderful. From the opening drive you know you are somewhere special. The course is laid out in the traditional manner with nine holes out and nine back. The first nine skirt the sand dunes and coastline northwards, turning inland and southwards and then following the coast road through Berrow past the church and back into Burnham. It offers fabulous views across the Bristol Channel to Minehead and the Quantock Hills; to the east lie Brent Knoll and the Mendip Hills. The club has an excellent website that provides a flyover and a full graphic breakdown of for each hole. It course opens with three excellent par fours that set the tone for the challenge to come. All are lined with imposing sand hills. Typically played into the prevailing wind, the first leaves little margin for error. Well placed bunkering on the second and third holes make accuracy off the tee crucial. The fourth is an especially good risk-and-reward hole as the green is narrow and raised with a deep swale at the back. The sixth is another hole to benefit from extensive development. I hit my shot from the new tee and watched as my ball bounded down the right side of the fairway exactly as I had envisioned. This was a magical moment for me that I savoured. The ninth is a beautiful hole played from an elevated tee to a large undulating green surrounded by bunkers. It’s an inviting tee shot but finding the putting surface is essential as anything short will leave a tricky pitch or bunker shot and an over-hit tee shot will find thick rough over the green. I felt honoured to be among the first 20 people in the golfing world to have played into this green from the new championship tee. To stand waiting to play was a surreal moment. I knew that my all-time favourite course architect and designer Dr Alister MacKenzie had a major influence on its design, and I could see his trademarks with the upturned green and superb natural bunkering. I struck a good shot and found the green with my approach. The green then did its magic and I duly three-putted but I was not disappointed, just honoured. For a golfer like me with a passion for the history and tradition of the game this place resonates deeply. I thought of all the golfing stars who had trodden these links before me and I found I was pinching myself at my good fortune. 10th is a par four with a blind tee shot that has two sighting posts fitted to the dunes that indicate the best line to the fairway. The posts offer assistance from all tee boxes but from the whites look like rugby posts. 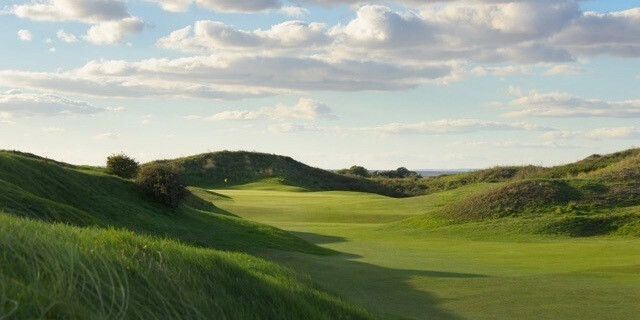 There are no weak holes at Burnham and Berrow, although there is a definite rhythm as you progress upon the round. I never felt the pressure relent but some holes appeared more inviting to my eye off the tee. The 13th is the pick of the par fives. There is a relatively wide landing area for the tee shot but then the fairway narrows through waves of dunes to an even narrower green with trouble left and right. This really is a picture perfect golf hole. The closing holes are superb. Risk or reward on the 16th, which is a brilliantly conceived short par four; the 17th is a fabulous par three, and the 18th is a finishing hole that will sort out many cards or championships. Improvements to the club over the winter of 2016-17 included a major renovation and updating of the Pro Shop, as well landscaping around the entrance to the shop to make it more welcoming. The exterior of the shop bears the message Heritage, Tradition, Legacy. This sums up what this club is all about. The driving range has also been upgraded and a state-of-the-art performance studio boasting one of only six Mizuno fitting studios in the country has been installed. Meanwhile on the course, major construction has been undertaken on a number of the golf holes on the Championship Course, namely on the sixth, ninth and 11th, where new back tees have been built to extend the holes. These new raised tees have also created some spectacular views of the course as well as the north Atlantic coast. A huge amount of work has been done by the greenkeepers, moving sand and replanting natural vegetation, while a specialist contractor was used for major shaping and translocation work on the new tees and surrounds. There are plans for extended fairway area towards new tees on the sixth hole, as well as re-contouring the green and surrounds. There is a Dormy House at the course and the prices offer great value. You decide. Prices are accurate as of 11/07/17. Bed and Breakfast and one round on the Championship Course and a round on the Channel Course. Sunday to Thursday, £130 per person per night; Friday and Saturday, £150 per person per night. This course is a magnificent construction, managed, maintained and developed for now and the future generations that will follow to use its superb facilities. It feels historic and special and I cannot wait to return to sample its delights again. The experience of playing here will last long in the memory. This was due in part to the welcome we were extended but also the magnificence of the course and its surroundings. I illustrated the Golfshake ratings at the beginning of this report.100% of all golfers would play again or recommend to a friend. That’s an incredible score, and it gets my vote as well. Take in the Atlantic Links group of courses and ensure this is part of your itinerary. It’s not just my recommendation. It’s also every other Golfshaker that has played here. Enough said. For further information on the Atlantic Links and Andrews' trip visit the 'Atlantic Links Golf Trip' feature.